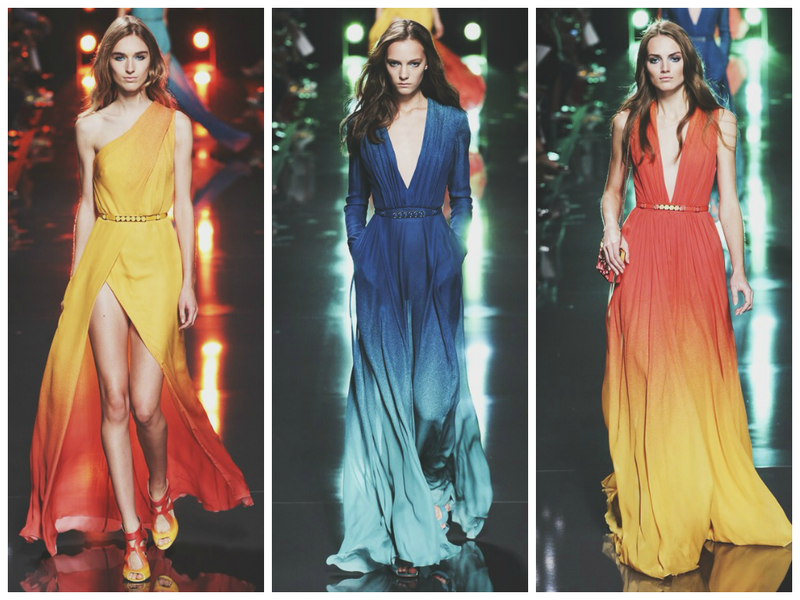 Colour was the hot feature of Elie Saab's SS15 Collection. 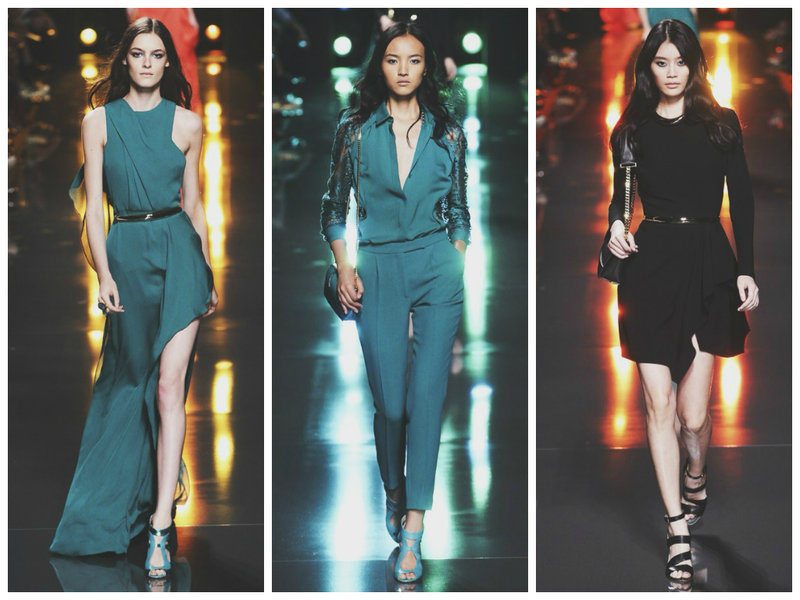 Block colours, ombre colours and patterns were gracing the runway this season. 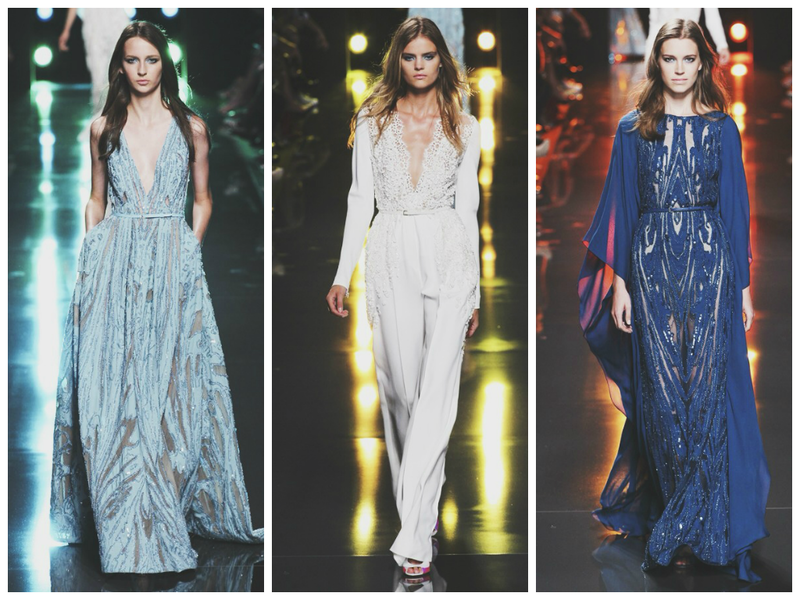 Elie Saab is one of those designers that I would describe as an "underdog". 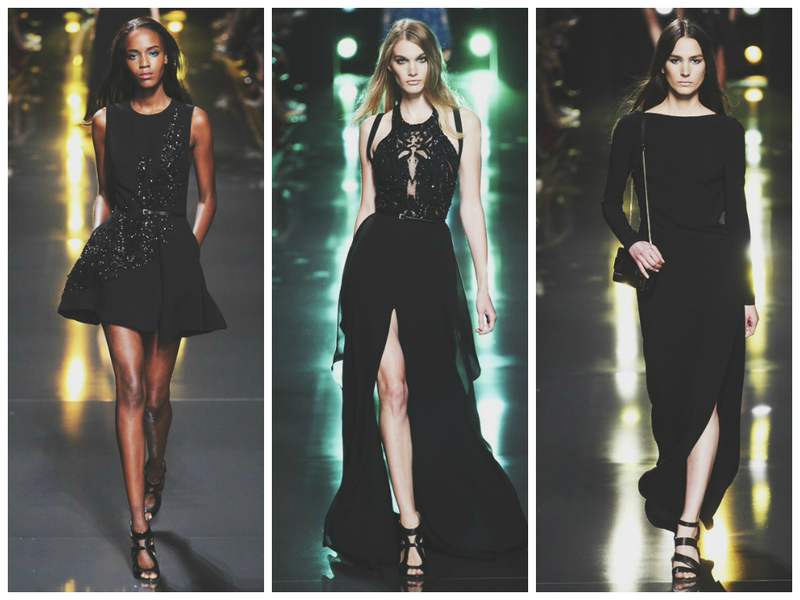 They are underrated and deserve more media attention aswell as attention from the fashion industry. Not saying they don't already, but they deserve more. 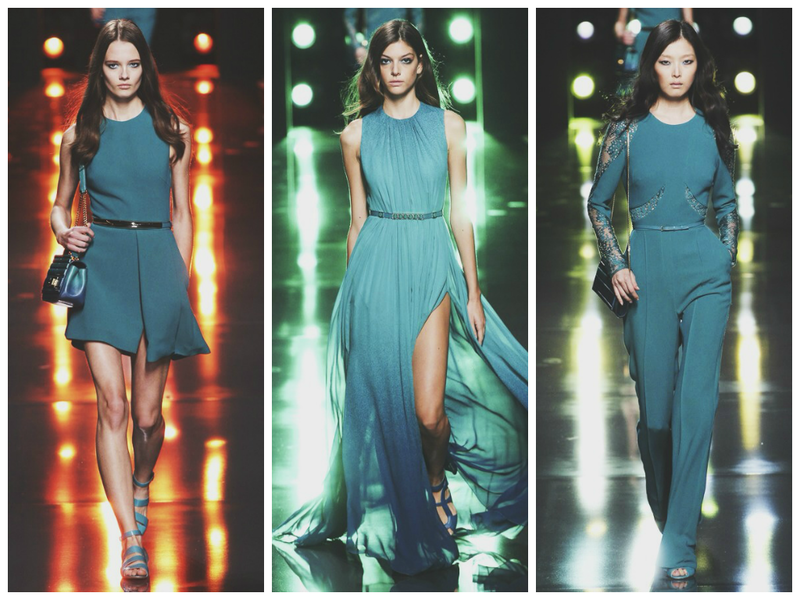 The pieces are beautiful. 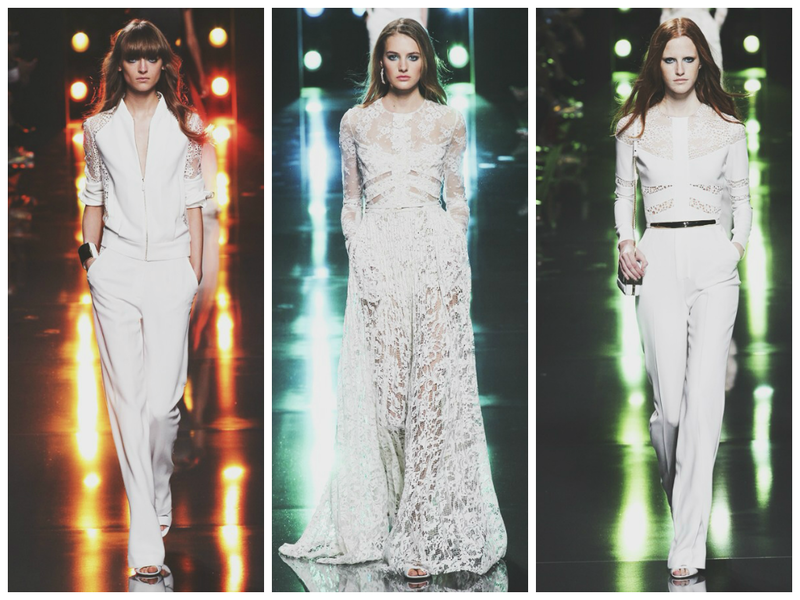 Many of those gorgeous and elegant dresses you reblog on tumblr are Elie Saab. 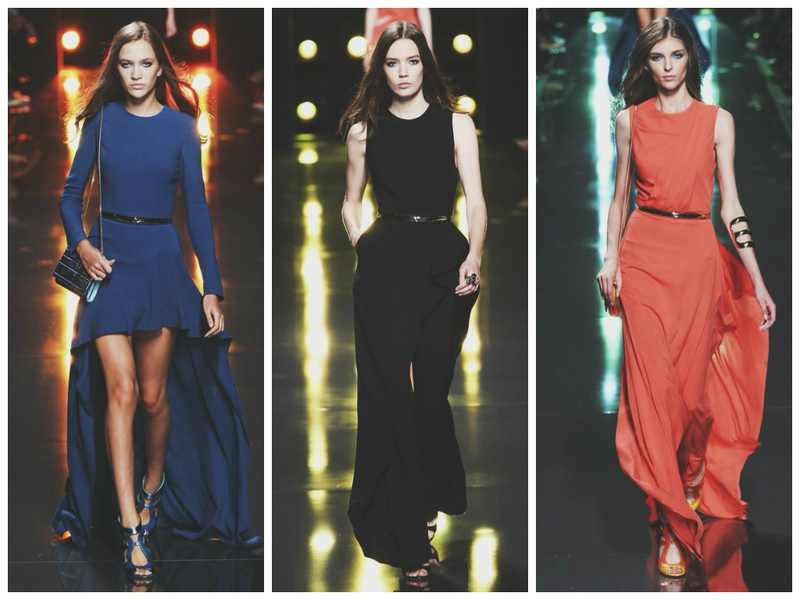 I follow Kayture very closely, and Kristina has a huge heart for Elie Saab and that's how I heard the name. 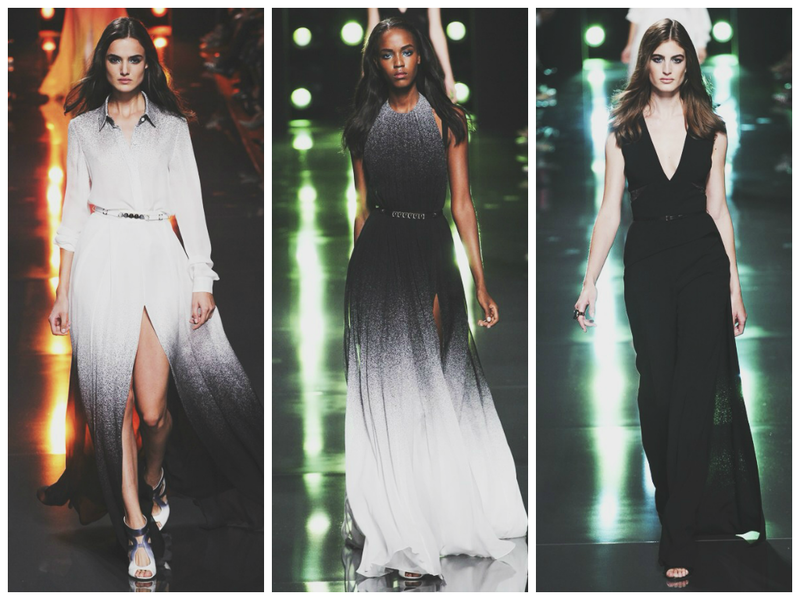 When I think "Elie Saab" I can't help but think stunning and captivating gowns - and they certainly lived up to my expectations. 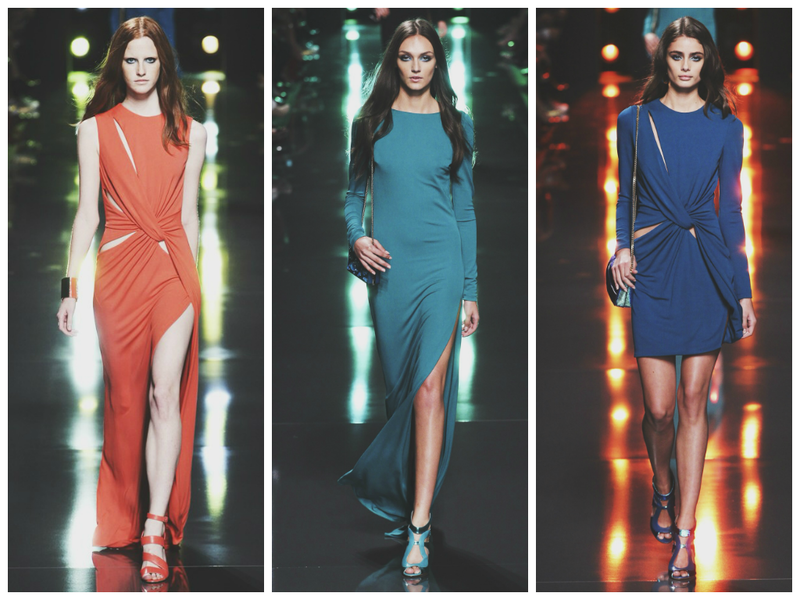 Exquisite ombre dresses walked the catwalk in black, orange and blues. 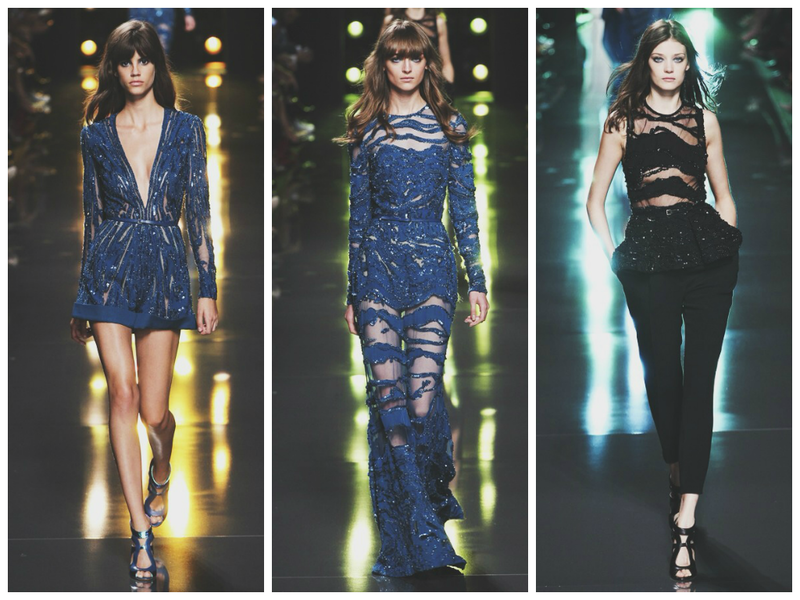 A certain patterned look was placed on different dresses which made a signature appearance. 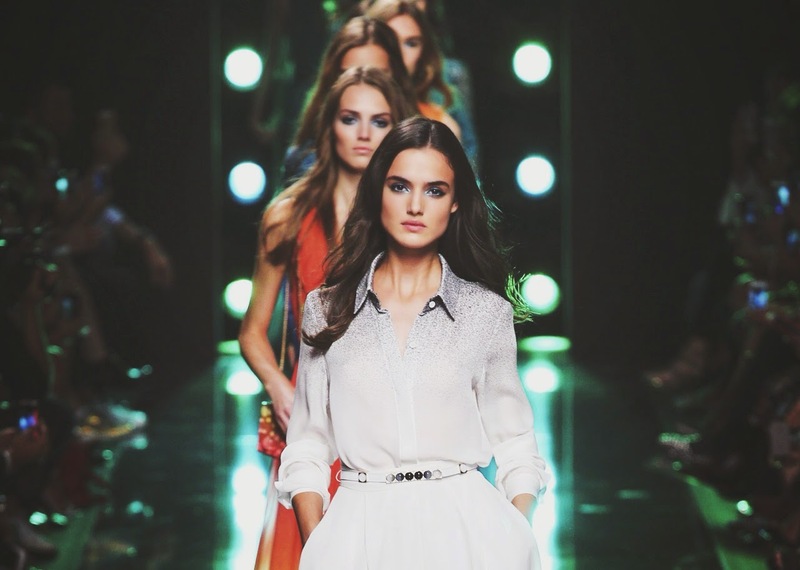 Femininity and graciousness at its finest. 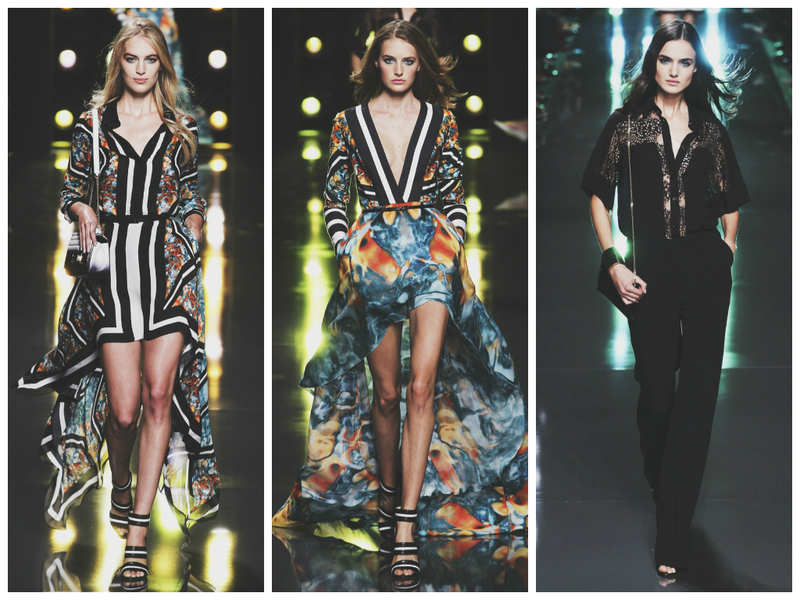 So looking forward to SS15 for the return of the feminine prints! Love this post.